Are you considering buying a run for your cat? 5 degrees outside, oh how we’d love to open a window or the French Doors, but we have two indoor cats that might attempt to get out. This is how we first got the idea for a cat run. My husband is very determined that the house and garden should look good, so fencing in the whole garden was not an option for us. 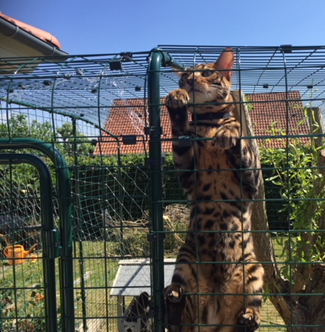 Anyway, fencing might keep our cats in, but it wouldn’t keep other cats out. Next idea, should we build a run ourselves? No, it won’t look good next to the house and it’s not flexible. I was looking around for something movable and flexible, but it just didn’t exist! Or did it? Suddenly I came across Omlets solution – exactly what I was looking for. An outdoor run for which I would be able to decide the length and width myself. Easy to move, pack up, make smaller or make larger – and it’s green like the garden. One of the things I fell for is that you can place the run directly on the grass, so the cats have a natural floor to play on. 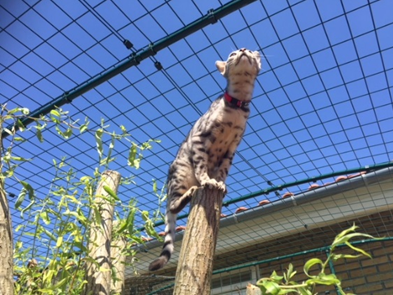 The roof is made up of the same netting as the rest of the run, so the cats can keep an eye on what is happening in the sky, whether there’s a bird, a plane or something else. When it rains the run can be covered so you can use it with your cats like a kind of covered terrace. 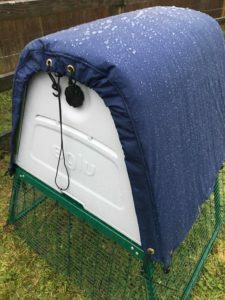 The same covers can also be used to create shelter from the wind, shade from the sun or a guard to give the cats some peace and quiet. Some people might feel it’s not right to put cats in a cage, but I don’t see it as a cage at all. I call it the cats’ outdoor space. We keep them there to protect them but at the same time it gives them the opportunity to experience nature and get some fresh air without the risk of getting run over or get into other bad situations. Both our cats love their outdoor space and they use the entire run like one big climbing frame. 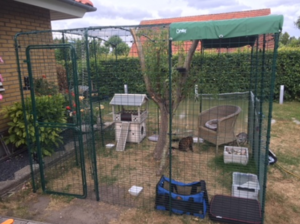 No more being woken up in the middle of the night or early in the morning – now we have two happy cats that get all the mental and physical stimulation they need in their outdoor space. 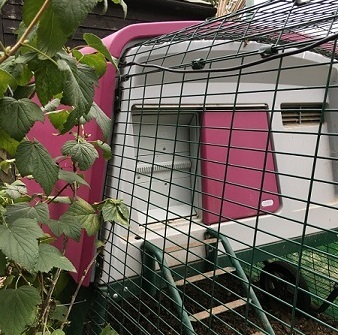 The Omlet Outdoor Cat Run has given us our outdoor life back and given our cats a better, healthier life. Tried & tested: Autodoor customers give their feedback! 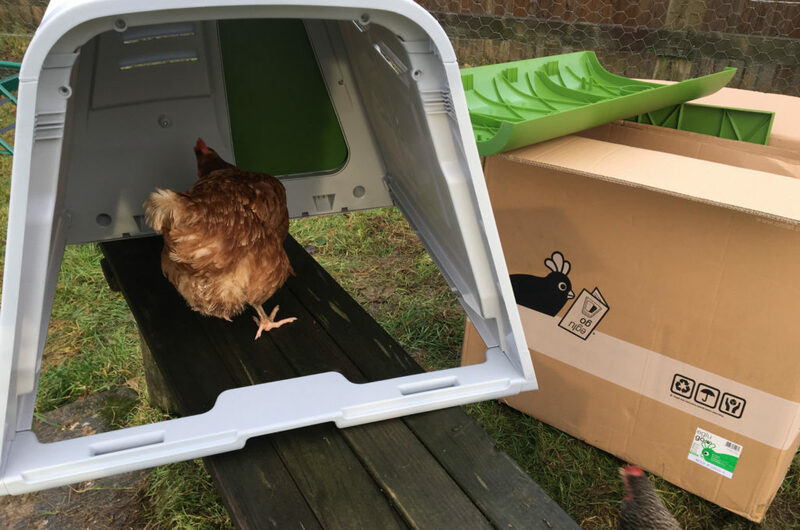 Omlet’s first ever Autodoor for chicken coops has just launched! 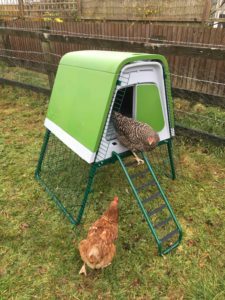 Designed to work with the best selling Eglu Cube as well as any wooden chicken coop. 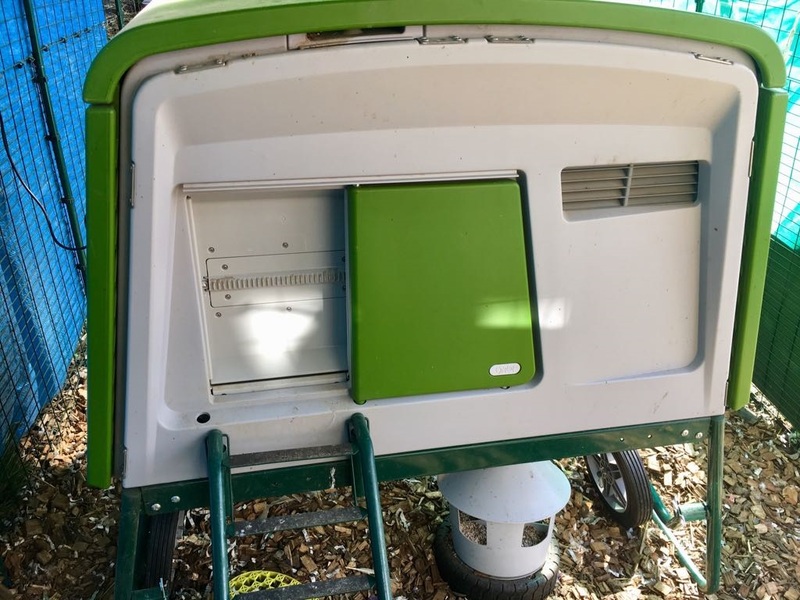 Omlet’s Automatic Chicken Coop door is battery powered and combines both a timer and a light sensor, giving you the ultimate flexibility and control. How are you getting on with Omlet’s new auto door? I absolutely 100% love it! It is literally a life changer for us hen mums! Was it easy to install ? Have you installed directly onto your Cube or to the run? I installed it onto the Cube as I wanted them to be able to get up when they wanted and go back to sleep without the risk of Mr Fox getting to them. It was really easy to install and took about 20 minutes. The instructions are very user friendly. What do you love about it? The freedom it gives me. 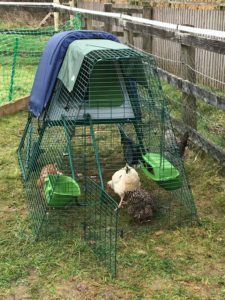 As a new chicken keeper I understood the commitment of having chickens, although the reality is quite different. The girls like to get up at first light and for me to have even an hour lie in at the weekend, leaves me feeling guilty when I see them desperate to get out into the run. Likewise in the evening if I cannot be back for last light I worry frantically about the night time wildlife coming and disturbing the girls. However since trying the auto door a weight has been lifted. I no longer have the gruelling first light wake up call and I now know they are safely tucked up in bed while I’m out for dinner. Which setting do you use? What is easy to set up? I use the timer setting. My chickens are kept at my allotment so unlike most I cannot keep a close eye on them out of the living room window. I have had first hand experience with foxes sniffing round the coop (the chickens were tucked up safe). That means I am extra cautious and like to let the girls out when the coast is clear so the timer allows me to have full control. Has it changed your lifestyle? Do you finally get that lay in that most chicken keepers long for? It has completely changed my lifestyle. I even went through last winter leaving work for half a hour so I could go and lock the girls up safe and sound before dark. I suppose its not only changed my lifestyle but also my girls. I don’t think there are many people that keep chickens purely for the eggs. We all want to give the best life for our chickens, especially as mine have been rescued from a horrible life in a battery farm. So for the girls to have consistency, waking up at the same time every day, having as long as possible to roam around as they please, and then put themselves to bed knowing that they are going to be safe. Its perfect for us. Not knowing anything about automatic doors, I didn’t know what to expect or how it would work. I may have been a bit sceptical but I was completely won over after setting it up. Being able to set the timer or use the light setting filled me with confidence. I was a tad worried about the door shutting on the girls but it moves fairly slowly and gives the girls plenty of warning. Plus it has a “crush” detector, so if anything gets in the way, it won’t close. I wasn’t sure if I would be having to refill it with batteries every two seconds as I don’t have mains electricity down my allotment, however the battery has never run down. The info panel tells you exactly how much battery is left which again gives me peace of mind. Ruth has three chickens and has been a chicken owner for about ten years. How are you getting on with your new Autodoor? We really like the auto door. Previously, we had a different light sensitive auto door but it was not integrated into the door and so was more likely to fail. Where have you fitted your Autodoor? The auto door is on our Eglu and was easy to install. What setting do you use? We use the light sensitive setting to ensure that it opens as soon as our girls are ready to get up for the day and closes shortly after they take themselves off to bed at night. What do you love about the new Autodoor? We love the reliability of the door and the battery indicator on the controller. We used to worry about the door failing because the batteries suddenly ran out or because the wire snapped on the old auto door opener. The chickens being shut in or out would be awful. 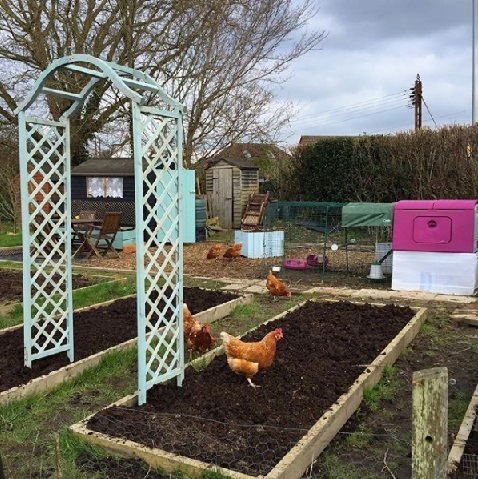 Emma has been keeping Chickens for over 17 months and has 8 hens living in an Eglu Cube. How are you getting on with Omlet’s new auto door? We’ve been trialing the door since May. I was very excited as I knew it was going to cut down the amount of time doing the morning chores. It’s lived up to what I hoped it would be. It’s made mornings/evenings smoother and I am very impressed it’s very well made. Was it easy to install ? Have you installed directly onto your Cube or to the run? It was really easy to install my husband did it in 20 mins. We have installed it directly onto the cube. What do you love about it? I love that this summer holiday & weekends i can lie in bed and not worry about running downstairs and going out to open up. I can have a lie in, I Love it! I wouldn’t be without it now. Which setting do you use? What is easy to set up? We use the solar setting. Yes very easy instructions to follow. Has it changed your lifestyle? Do you finally get that lay in that most chicken keepers long for? Yes! ! Such a lovely feeling. It has made a big difference to our family, it’s stopped the arguments of who’s turn it is. I’m looking forward to it being Autumn and Winter now!